Experience the thrilling adventures of the Parr family as they conquer crime and family life through both Disney-Pixar films The Incredibles and The Incredibles 2, in a LEGO world full of fun and humor. LEGO The Incredibles allows players to explore action-packed story levels and an epic hub world - including Municiberg and New Urbem, as they use their unique “Super” abilities to bring the city’s Super Villains to justice. Gamers can also team up with family and friends in 2 player co-op to assemble incredible LEGO builds! 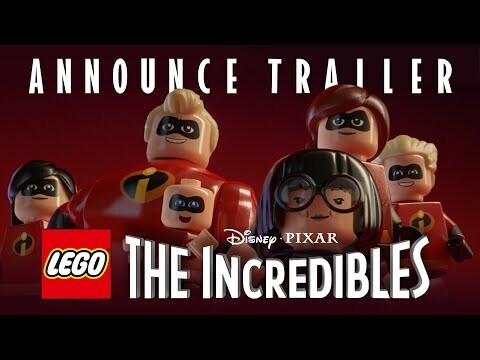 LEGO The Incredibles was released on 285d ago in the UK and the US. Notify me when LEGO The Incredibles is available. Based on 5 LEGO The Incredibles reviews, LEGO The Incredibles gets an average review score of 70. LEGO The Incredibles is very easy to recommend if, and only if, you’ve not grown tired of the tried and tested LEGO formula. Not quite incredible, then, but still pretty good. LEGO The Incredibles gives you everything you want from a LEGO game without breaking the mold. LEGO The Incredibles is exactly the kind of inoffensive and family-friendly action adventure fun you’d expect from a TT Games offering. I enjoyed playing through the game, but felt some of the questionable decisions and creaking technology kept it from achieving its potential.